The World Laughs: She-Devils play LIVE plus new Palm, Kevin Morby & Toro y Moi on the Indie Rock Hit Parade! You’re in for a real treat on tonight’s Indie Rock Hit Parade. In fact, we all are! Listen at 11pm ET on XPN for a full two-hour show that’ll kick off with our latest IRHP Live Session. Joining us in the studio this time around is the Montreal duo She-Devils, whose self-titled debut came out earlier this year on Secretly Canadian. They’ll play selections from the album in our studio in new, amorphous arrangements. Shadow Experts: Palm play LIVE plus new Big Thief, Superchunk and Alvvays on the Indie Rock Hit Parade! Tonight’s Indie Rock Hit Parade is packed to the gills with brand new tracks from beloved bands and up-and-comers alike! Tune in to XPN at 11pm ET for a full two-hour show that’ll also serve as the chaser for this month’s What’s The Frequency??? with John Vettese. In the hopper, we’ve got a live session that John and I recorded together with the now-Philly based experimental pop band Palm. The quartet has a new EP, Shadow Expert, coming this month, and we’ll hear them perform tracks from it live in the studio. Also, since it was just released this week, we’ll spotlight the new full-length from Big Thief, Capacity. Be on the lookout for new singles from Superchunk, Alvvays and Ariel Pink, too! Everybody Works: Jay Som plays LIVE, new Future Islands, Diet Cig and The New Pornographers on the Indie Rock Hit Parade! Tonight, the Indie Rock Hit Parade comes to you packed to the ceiling with special stuff for you to enjoy. Listen at 11pm ET tonight on XPN for a full two-hour show that features, right off the bat, a brand new IRHP Live Session with Jay Som! The vehicle for California musician Melina Duterte, the full-band version of Jay Som visited our studio last Friday before their show at Boot & Saddle with The Courtneys. Hear the band play songs from their much-lauded new album, Everybody Works, in the first hour of today’s show. 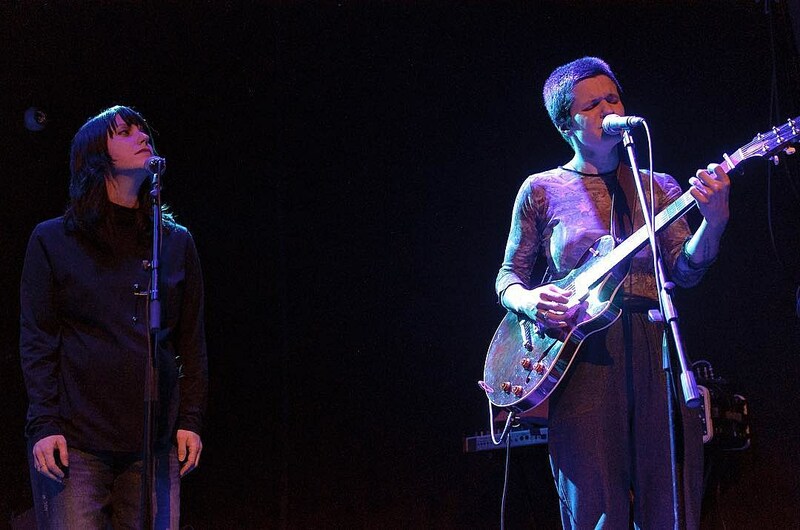 Brooklyn’s Big Thief announced their highly anticipated follow-up to 2016’s Masterpiece. Titled Capacity, the record comes out on June 9th through Saddle Creek. The indie rock four-piece revealed their plans with a new music video for the record’s hushed first single “Mythological Beauty.” It follows singer/guitarist Adrianne Lenker’s The Revenent-like adventures through a snow-glossed woods, sheltering and attempting to save a blanket-draped man (guitarist Buck Meek) before a mysterious woman (played by Lenker’s mother) offers some help. Album Spotlight Alert! 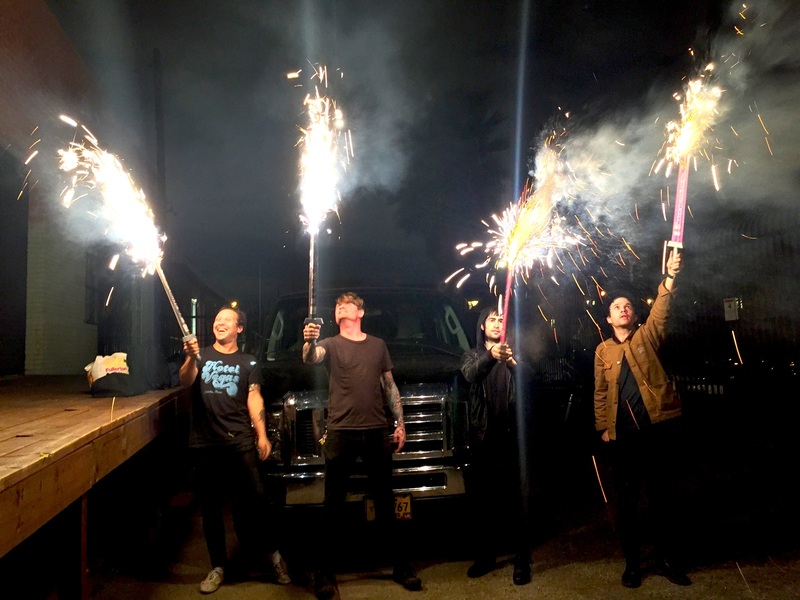 Thee Oh Sees, of Montreal, Field Mouse and Best of 2016 (so far) on the Indie Rock Hit Parade! This week’s Indie Rock Hit Parade, like most weeks’, is a special one. Tonight’s show (starting at 11pm ET on WXPN, right after What’s The Frequency??? with John Vettese), will spotlight not one, not two, but fifteen releases from 2016! We’ll dig into a few newly released albums, namely those from fuzz freaks Thee Oh Sees, celebrated funk-twisters of Montreal, gut-punch punks Field Mouse and more, plus hear from some of the year’s most exceptional recordings so far. It shouldn’t surprise you that we’ll get to tracks from Parquet Courts, Big Thief and Car Seat Headrest, but there might also be a few albums in the mix whose initial releases you might have missed. It’s part best of, part new music showcase, part treasure hunt. It’s the Indie Rock Hit Parade, and it’s coming for you.